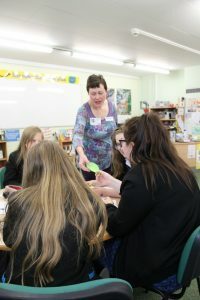 I was very honoured to be asked to take part in the very first Sunderland Literature and Creative Writing Festival, leading three workshops in what will be an annual celebration of the written word. Spending an extremely busy but most enjoyable day between two Sunderland schools: Farringdon Community Academy and Houghton Kepier School, I was warmly welcomed by two groups of their KS3 pupils. 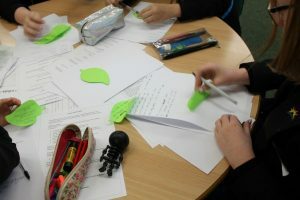 At each school I led a workshop on Haikus as a link to my collaborative exhibition with photographer James Sebright Nissan: 30 Years On which is currently showing at Sunderland’s Monkwearmouth Station Museum. 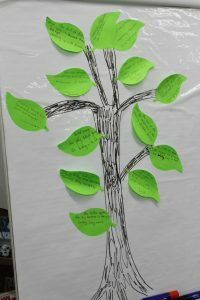 As an introduction to the workshop, we dicussed the exhibition and explored the ancient Japanese poetry form of the Haiku before the young people had a go at making some of their own haikus inspired by the seasons. I was impressed not only by their good manners and attentiveness but also by their wonderful creativity. We explored haikus further as they worked in small groups to create a haiku riddle to share with their peers. The session ended with the showing of the exhibition’s Tact Time film shot by James Sebright with a creative narrative of 49 haikus written by me. At Sunderland City Library I led a workshop for adults. 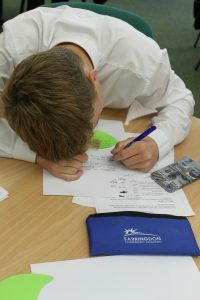 Introduction to Creative Writing was aimed at those who are new to writing or trying it for the first time. It has always been part of my mission to help people gain the confidence to express themselves through writing and provide opportunities for that. For this workshop we explored using the senses as a catalyst for writing. Again, this was a most enjoyable session and a privilege to hear the work of the participants.